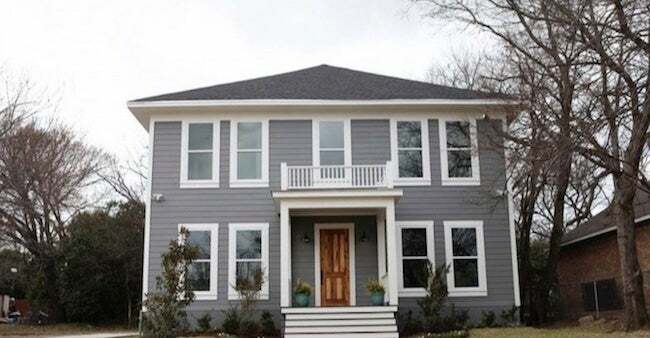 Fixer Upper may have come to an end this year, but their influence will stay in the houses they flipped forever. Fans of the reality series might be broken-hearted that the family has hung up their told for now, but there is a way to still enjoy the magic of Fixer Upper in real life. 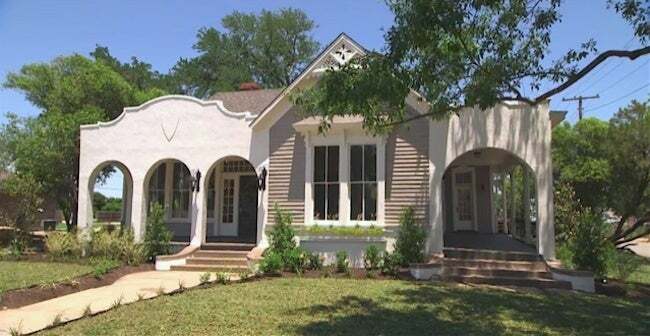 Many of the homes Chip and Joanna Gaines helped make better over the years are now rental homes that people can stay in if they are ever in the Waco, Texas area. 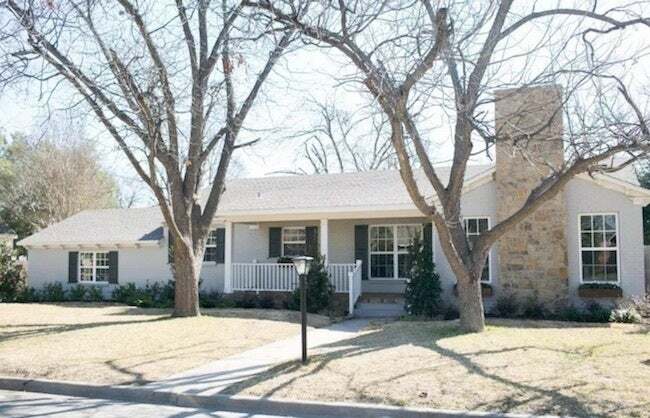 Scroll through to see some of the Fixer Upper homes you could stay in right now. 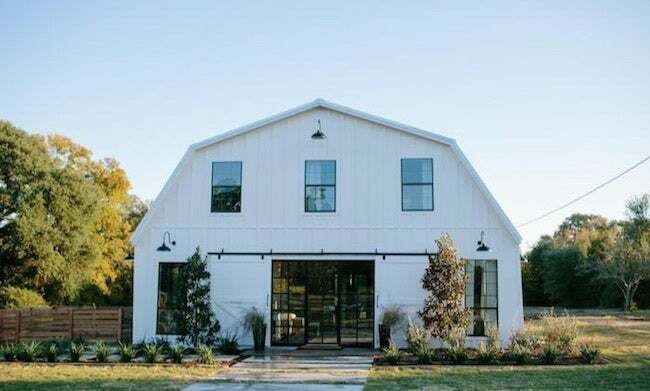 Probably the most non-traditional home that the Gaines' tackled on the show, converting a 1,000 square-foot attic apartment, hay storage and horse stalls into a 2,700-square-foot, modern masterpiece. Available at Homeaway.com for about $639/night, the house can sleep 20 and houses five bedrooms, a grand dining hall, a sitting area/den, kitchen and more. The ranch-style home received an updated exterior to revive the dated look, extending the front porch and adding white wooden railings. Joanna admitted during the episode that her favorite part of the house is the kitchen. 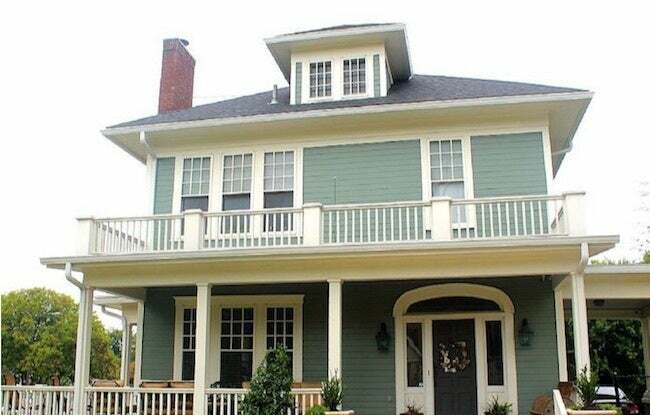 The house is a renovated three-bedroom home, which sleeps seven and is available to rent on Airbnb for $750/night. "When we walked into the house for the first time we could tell the house had a rough history, but we wanted to bring new life into the space," Joanna wrote on her blog. "It had been abandoned for several years and was filled with trash, dilapidated floors and walls, and even rats." Available on Airbnb at a rate of $550/night, the five-bedroom apartment can sleep 12, making it the "perfect [home] for couples, families, big groups and retreats." 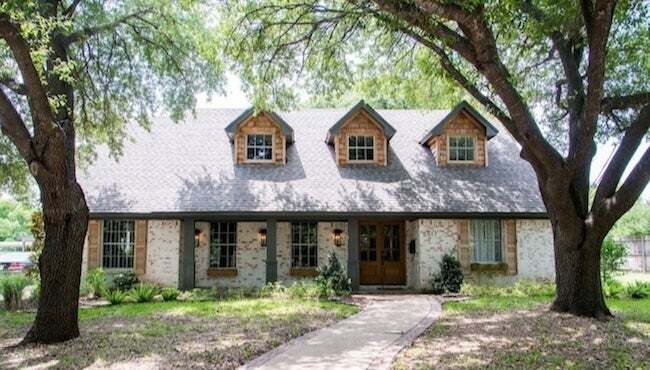 This '30s home was the basis for the first episode of Fixer Upper, kickstarting a wonderful story for Gaines family fans. After an extensive renovation to return the 2,800-square-foot home to its former glory, the five-bedroom, 4.5 bath home is now available for $417/night and can accommodate about 12 guests. This mid-century modern home went through site an extensive transformation, including an exterior overhaul and creating more space inside. 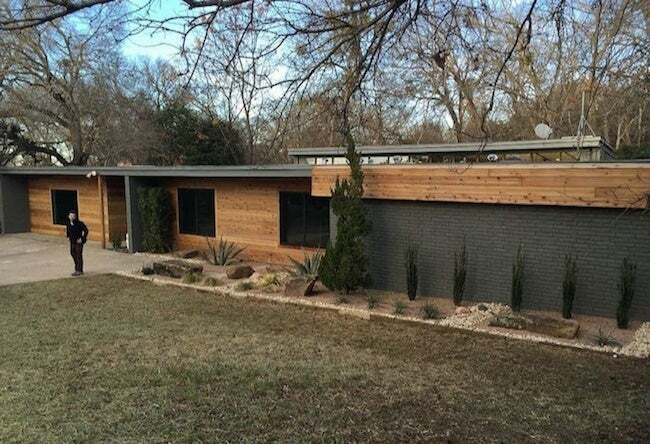 Available on Airbnb at about $300, the three-bedroom, two bath home now flaunts that the "property features a stunning view of the woods, a pergola covered patio with grill, an open floor plan, a beautiful state-of-the-art kitchen," according to the listing. 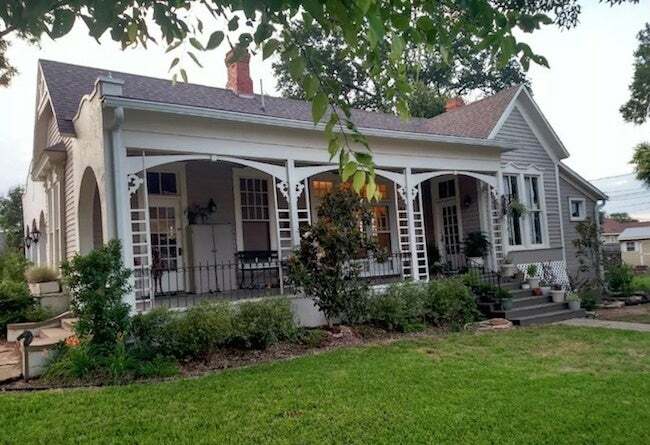 The Waco house had "good bones, spacious floor plan and its big backyard," Joanna wrote. "All it needed was a little character and updating." To that end, the renovation included tearing down a wall to open up the front of the house to the rear to create a large, open space incorporating the living room, dining room and kitchen. Available for $278/night, the four-bedroom home can accommodate seven, described as a a perfect place for entertaining. The 72-square-foot shotgun-style home was a big challenge for Chip and Joanna — including having to move it to another property. While it may seem small, the inside is nothing if not spacious, and currently renting around $325/night on Airbnb. "We installed wood floors and beautiful floor length windows, this space didn't feel cramped in the least," Joanna writes. "We removed the wall that separated the living to the bedroom and converted this existing bedroom into the kitchen." 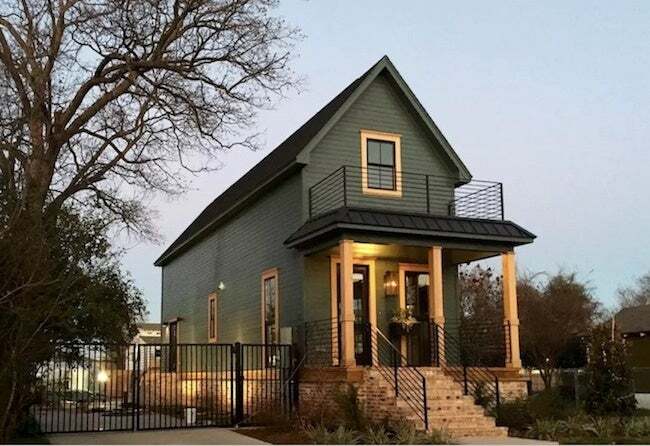 Originally built in the 1900s, Chip and Joanna transformed what was an outdated home and brought it back to life during the first season of Fixer Upper. The charming three-bedroom home is a popular rental in the area for Airbnb, listed at $250/night. You can book a stay at this home starting at $250 per night. The rental features three bedrooms, high ceilings, and a ton of natural light. It's located in a peaceful neighborhood near Baylor University, Magnolia Market at the Silos, the Waco Riverwalk, and more. 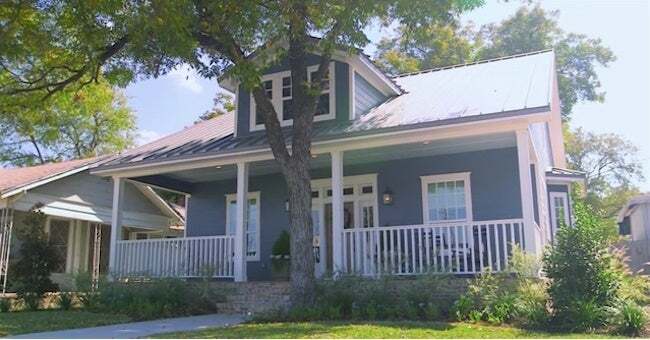 You can book a stay at this two-bedroom home, featured in the reality show's third season, starting at $297 per night. The rental has two bedrooms, a fireplace, a bay window, and an open kitchen. It's also near Chip and Joanna's carpenter's store, Harp Design Co., where you can shop for handcrafted furniture and more.